Warning: On April 8th, 2018, a vulnerability was discovered in VestaCP that allowed attackers to compromise host systems and send malicious traffic targeting other servers. As a result, DigitalOcean has disabled port 8083 and VestaCP has taken down installation files until the issue has been patched which will affect new and existing installations. To find out more about ongoing developments and learn how to mitigate this issue, read the Community question about this vulnerability. 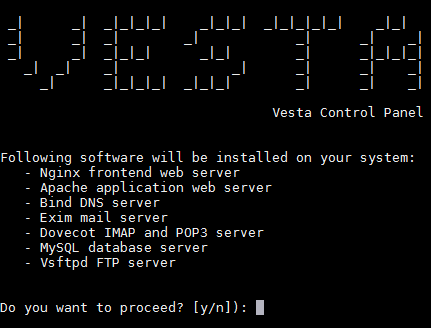 Vesta is an easy to use open source web hosting control panel that currently supports Ubuntu Linux (12.04 LTS, 13.04 and 13.10), Debian 7, CentOS (5 and 6), and RHEL (5 and 6). It packs a bunch of features by default to allow you to host and manage your websites with ease on your VPS. 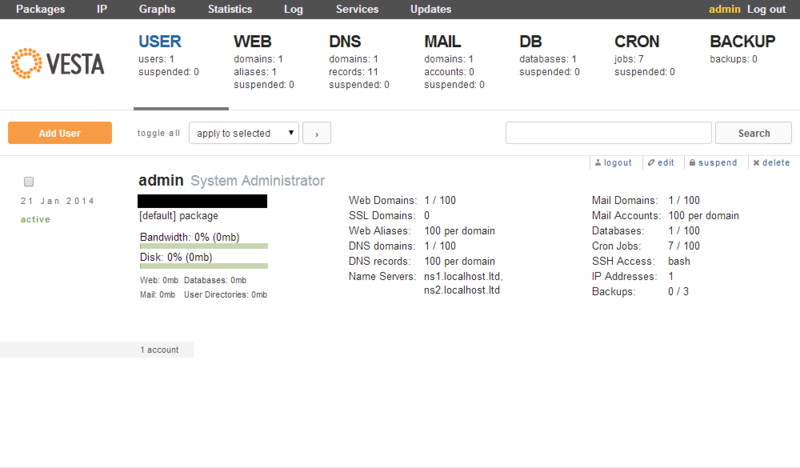 Create and configure a new VPS. Once you have your virtual server up and running, login via ssh with the user you created while configuring your droplet. If you decide to log in as root, you can leave out the "sudo" command in all of the following commands. Press "y" and "enter" to proceed with the installation. You will be prompted to enter a valid email address. Be careful to enter an address you have access to and double-check the address you entered for any typing errors, since you will not be prompted to confirm it. 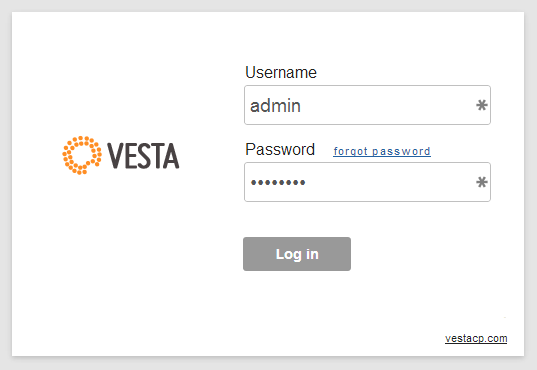 Vesta will use this address to try to send you your login credentials. Don't worry if you have entered the address incorrectly. 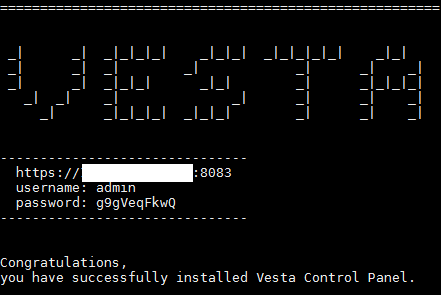 All the information you will need will be displayed in the terminal window after installation, and you will be able to change the admin email address as soon as Vesta is installed. Take note of the address, username, and password. You will need it to log in to the control panel. If you gave the users sudo access, you might want to set that up again right now, since the Vesta installation overwrites the sudoers.tmp file to add some configurations. You can read about setting up sudo access in step four on the page. Just replace NEW_PASSWORD with the password you would like to use for the admin user. The above command is also handy to reset your password, should you ever lose it. After logging in, you will be presented with the control panel where you can continue to configure users, web sites, DNS servers, databases, etc.